Set your out of office and voicemail notification: In a day of instant everything, people take offense when you don’t respond right away. Set proper expectations. Pay your upcoming bills: Who wants to worry about bills on vacation and you might not have internet access. I use the Mint app that has all of my important bill information and check to see upcoming bills and make sure I take care of before I leave. Call or send a secure message to banks and credit card companies that you will be traveling and let them know the dates you are traveling. If for some reason you don’t and the bank tries to call you, they can’t reach you for whatever reason, your phone is off due to traveling or you might have an out of date phone number listed on the account (happened to me) they will disable your card. In my case I was in Los Angeles and my card was disabled on a Friday, my credit union was closed on the east coast, so I had to wait a whole day to get it back activated. Who wants to deal with that on vacation? Check the weather: It may seem crazy idea but sometimes in a rush you can forget, or make an assumption. Once I went to Los Angeles and assumed it was going to be warm. In a hurry I packed and my friend texted me a few hours before the flight to let me know it was cold. Rather than repack and be late I grabbed a few jackets and jeans and threw them in bag. For the most part, I was underdressed. If you want to check for a future trip if you have a goal of visiting another country in its summer months; Check out Weather Underground for historical data on weather. Print Travel Documents for reservations and excursion vouchers etc or save the documents to your phone so have access to them offline. Make a copy of Passport; make sure a family member has a copy. Set up a loose itinerary. You don’t want to spend most of your time in your room planning your trip. Do research before and have an idea of where you want to go so you can set up appropriate transportation and reservations ahead of time. I use TripAdvisor to look up the top tourist attractions and top restaurants ahead of the trip. Also, check the tourism board’s event calendar to see what else is going on. Withdraw your budgeted amount of cash for The trip. Research the currency and how much things cost: When I went to Turks and Caicos I did not know everything has a 12-15% tax and gas is $6.00 a gallon and a bag of Doritos’ cost $6-$7 (take snacks with you in this case). Check out Numbeo to get an idea of how much things such as food and gas cost where you are traveling. Make sure you are viewing in your measurements and currency to get a realistic view. Load up on travel supplies. I can’t travel without my blanket and pillow and great music. Also, I travel with a first aid kit and tums/Pepto-Bismol. Sounds simple but I recently became ill in Punta Cana, DR and it was late, the gift shop was closed I called the front desk and I’m not sure if it was because of the language barrier or what but when I asked for Pepto-Bismol, they wanted to charge me an emergency nurse visit. Clean off memory card for the camera and/or smartphone. Make sure you have enough room to capture your new adventures. Know your travel documents requirement and vaccination information. Also, be sure to know airport/airline information such as recommended amount of time to arrive before a flight as well as when your bag must be checked in order for it to make your flight. Schedule airport transfers via shuttle or reserve a car for hire in advance. These are just a few of the things I do to prepare for a trip. 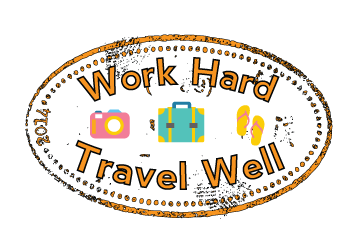 What are some things you HAVE to do before you travel so that you can relax and make the most of your trip?